Classical and comfortable, it's the ideal bag for everyday use. Tamigi was conceived as a hunting and fishing mission companion, out in the italian woods and countryside, therefore it maintains the traditional and classic appearance and is revived as a reliable and strong product in completely different contexts. The large and robust adjustable strap, with side connections in double leather and edges which have been totally sewn, rounded and hardened and colored with the aim of improving their resistance in time, it lays comfortably on your shoulders. The flap unveils a unique compartment interior lined in fabric, with an internal side pocket, where you can place your sunglasses and phone. Buckles and rings are realized in brass fusion. Just like all Quebracho products, Tamigi's surface is made of raw leather, which is transformed into a soft and robust leather through vegetable tanning, a type of processing that makes the leather more compact and particularly resistant to water and rubbing. 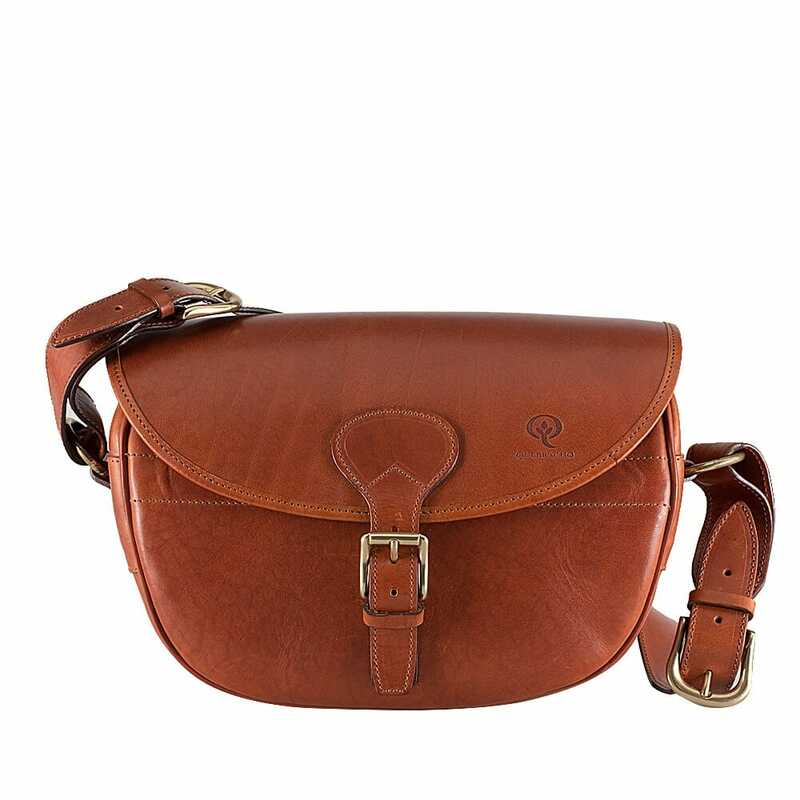 Quebracho products are entirely handmade in "Vecchia Toscana" leather.